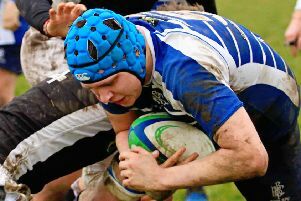 Following last week’s narrow defeat, Boston Rugby Club returned to winning ways as they recorded their biggest win of the season. It was a 10-try demolition and a personal record for winger Jaron Cowern, who scored five tries, writes John Fletcher. A feature of the squad’s performance this season has been their impressive form away from home and the commitment from players to hit the road. The first half saw the Blue and Whites open the scoring through centre Charles Hughes. The conversion by Matthew Bray took the visitors into an early 7-0 lead. In the first half further tries would be scored by Luke Fowler, Daniel Piggins, Jaron Cowern and Steven Kippax. Matthew Bray converted three of the tries to take Boston into a 33-3 lead at the interval. The second half would see the visitors maintain their impressive scoring rate with four further tries from winger Cowern and a second try for Fowler to see the scoreboard close at 66-3. In the process, the Blue and Whites secured five league points. BOSTON: Turley, Piggins, Cowern, C. Hughes, Hummel, Bray, Borley, de la Fontaine, Beard, Griffin, Coley, Eldin, Fowler, Kippax, Sharp; Replacements: Felicio, Phillpott, Lloyd, J. Cook, Gray. 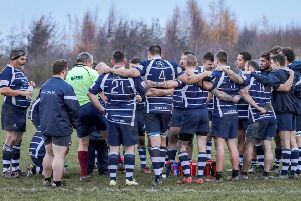 Boston entertain Ollerton at the PRSA on Saturday (KO 2.15pm), all support welcomed.